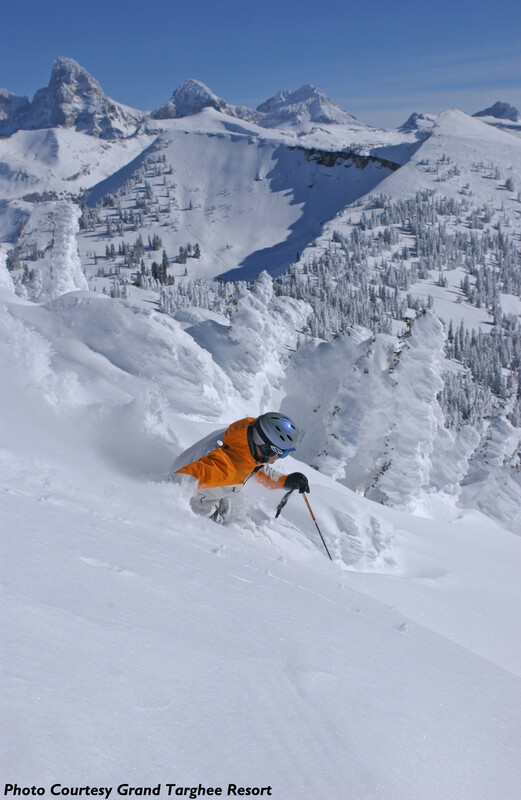 Read skier and snowboarder-submitted reviews on Grand Targhee Resort that rank the ski resort and mountain town on a scale of one to five stars for attributes such as terrain, nightlife and family friendliness. See how Grand Targhee Resort stacks up in the reviews, on and off the slopes, from skiing and family activities to the après scene. Read up on pros, cons and other comments in reviews left by fellow skiers and riders. Don't forget to submit your own Grand Targhee Resort review! Scroll to the bottom of this page to let other travelers know about your skiing and resort experience. For more destination information, click Add to Compare to see a side-by-side comparison of Grand Targhee Resort vs. other ski resorts (up to 10 total). Spent three days riding at Grand Targhee 2/15-17/2018. Had an amazing time. Snowed all night before first day of riding and before 2pm it was literally knee deep and then the sun came out and it was amazing. Next two days were equally good but never saw the sun again and never saw the tetons. Top of the main lift on the 17th was downright terrifying the visibility was so poor it was skiing by feel. I suppose this is the price you pay for a constant snow cloud. Everyone was super friendly and I never had to wait in line. love this place, don't miss Colorado one bit!